The science of human expressive gestures owes its existence to a natural law that seems to apply to all living creatures. Classically expressed as, “As within, so also without,” this basic principle tells us that every human muscle movement is ripe with psychological information that can be understood by the educated careful observer. Body language, facial expression, and graphic gestures (handwriting, doodles, and drawings) offer unfiltered, uncontaminated information about our subconscious drives, innate temperament, and possible neuroses or energy blocks (Wolff, 1943, 1948; Teillard, 1993; Nezos, 1986, 1993; Allport, 1933). We can ’read‘ this energy for diagnosis and manipulate it for the purpose of healing. The piece of paper on which an individual writes represents that person’s world. Thus, how we put strokes on paper mimics how we see ourselves in the world and how we move through it. Handwriting is basically “brainwriting” (Roman, 1952; Bernard, 1985). How we express ourselves on paper originates not from our hand but from neural impulses from our subconscious. Our movements on paper give us direct information into the organization of our brain and the state of our energy field, that is, the energy state of our emotions and thoughts. We can use the bidirectional relationship between body and mind to gain insight into ourselves and others. In fact, most of us already do this in everyday life in the reading of voice quality and body language such as facial expressions, gait, gesticulation, and posture. Handwriting is one of the many expressive gestures that humans make and it is one that supplies a permanent record, a snapshot in time of the state of balance or imbalance of our body, mind, and spirit. In America, Gordon Allport, a Harvard educator, studied human motor behaviors and how they mirror personality in the 1930s. His treatise contains numerous controlled experiments, which discovered congruence between expressive movements (e.g., handwriting, gestures, gait) and attitudes, traits, and values (Allport, 1933, pp. 247-248). Allport felt that the discovery of well-integrated and consistent expression in human motor expressions would establish a “presumption that similar patterning is to be expected in all aspects of personality” (p. ix). Handwriting, he concluded, is a “crystallized form of gesture, an intricate but accessible prism which reflects many, if not all, of the inner consistencies of personality” (p. 186). Estonian-born Ania Teillard was the first psychoanalyst to research the link between depth psychology and graphology and to see Jung’s psychological types through handwriting. Working closely with Jung for over 20 years, she laid the groundwork for understanding the handwriting indicators for the four Jungian functions and two attitudes. 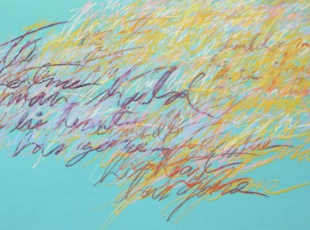 It may be the fact that her seminal work, The Soul and Handwriting, was not translated into English until the early 1990s that has kept acceptance and use of graphology in the United States lagging behind its application in Europe. The psyche is a self-regulating energy system, and as with all such systems, it functions on the principle of polarity. Some of the major paired energies operating within us that we can readily see and interpret from writing are intensity and relaxation, objective/logical/yang and subjective/emotional/yin energy, and intellectual and physical energy. Notice the squeezed appearance and rigid-looking formations in the following writing sample. This sample, from Otto von Bismarck, Germany’s first chancellor, indicates tension—’uptight-ness.’ The individual may be emotionally inhibited or overly controlled in expression of thoughts and feelings, which results in narrowness of thinking (Wolff, 1943, pp. 259 and 264). Notice the relaxed look of the following writing sample and the garland shapes at the base of letters. The garland is the most practical, quick, easy, natural, and agreeable way of connecting two letters. Some qualities associated with formations like these are naturalness, friendliness, talkativeness, adaptability, an easygoing nature, and a benevolent personality. Just as the gesture of an open, cupped hand conveys a sense of reaching out in a friendly manner, this open, cupped-shape connection indicates the same in writing. If the writing’s form looks overly relaxed, as in the following, the person may lack mental control and focus and be highly impulsive. 1. Thinking diminishes the stroke. It makes the stroke smaller; energy is concentrated. 2. Feeling expands the stroke. It makes the writing larger, softer. 3. Intuition lightens the stroke. It gives the writing movement, rhythm, and sometimes instability. 4. Sensation makes the stroke heavier; it stabilizes the writing. Adding another layer to this is the effect that extraversion and introversion have on the writing. As noted earlier, the blank piece of paper symbolically represents our universe. How we put writing on the paper—how the pen moves across the paper—represents how we see ourselves fitting into life and how we navigate through it. Extraversion is characterized by a tendency toward expansion. There is an emphasis on centrifugal movement (movement away from the body). Extraverted handwriting is more right-tending and wider. The writing ‘dominates’ the white space of the paper. By contrast, with introversion there is a tendency toward compression, more narrowness. Less space is used. The introvert is not visibly flamboyant. Typically, there is a simplification evident in the writing stroke. It must be stressed that when evaluating handwriting it is important to look at things in their entirety. Just as we cannot tell the true physical characteristics of a person by isolating what the nose might look like, we can’t take one quality in a handwriting sample and assign a value on its own. Qualities and traits that are seen need to be evaluated in relationship, and in combination, with one another. Though we may not be always consciously aware of it, we all constantly gather nonverbal information from people during our interactions. We notice facial expressions and take note of how someone walks, sits, shakes hands, etc. Instinctively, we know that these mannerisms and gestures contain meaning and give insight into a person’s inner territory. Handwriting, or how we ‘move’ on paper, contains information in a form that is preserved for exhaustive scrutiny. A flexible, integrated, balanced brain is outwardly evidenced by fluidity and gracefulness in our handwriting and other movements of our body. The quality of our voice and our expressive gestures reflect the state of organization and integration in the brain. How we adorn and embellish our writing, the extraneous qualities our strokes have, and whether there is balance or imbalance in our stroke formation all provide a window into how our brain is operating and the state of balance in the body, mind, and spirit. 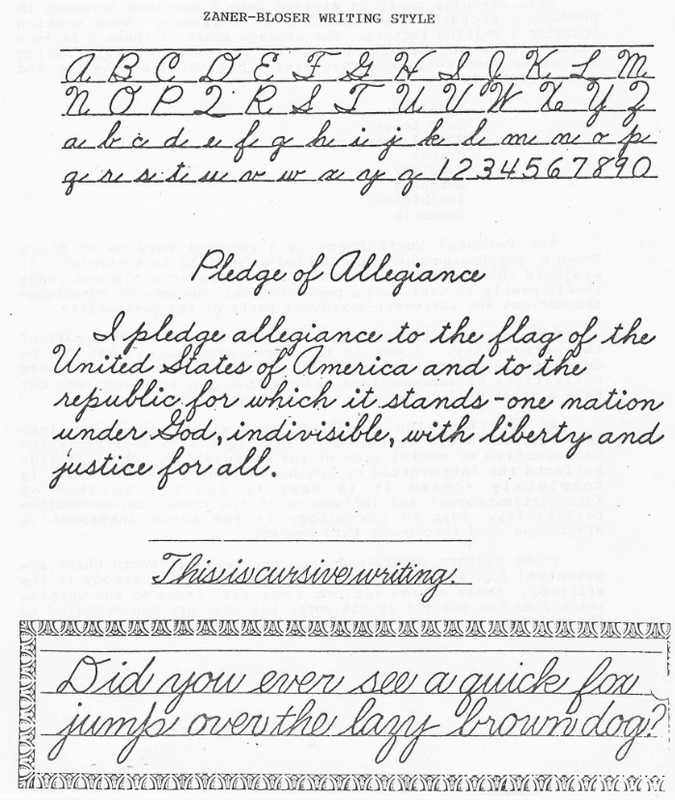 1 Samples 1-8 are from a presentation by Edith K. Leslie (2000), archived by the American Handwriting Analysis Foundation. Unless otherwise noted, all other samples are from my private collection. Allport, G. W. & Vernon, P. (1933). Studies in expressive movements. New York, NY: Macmillan Co.
Bernard, M. (1985). The art of graphology. Ed. J. M. Reed. Troy, NY: Whitson Publishing. Bosack, C., Bowers, E. & Spinner, S. (1996). Handwriting examination compared to MBTI® Form F. Columbus, OH: SRM Press. Haier, R. J. & Siegel, Jr., B. V. (1988). Cortical glucose metabolic rate correlates of abstract reasoning and attention studied with positron emission tomography. Intelligence, 12: 199-217. Jung, C. G. (1984). Dream analysis: Notes of the seminar given in 1928-1930. W. McGuire, Ed. Princeton, NJ: Princeton University Press. Leslie, E. K. (2000). Jungian typology in handwriting. Presentation at the August 3-5 conference co-sponsored by the American Association of Handwriting Analysts and the American Handwriting Analysis Foundation, Las Vegas, Nevada. Moore, M. (1988). Identifying Jungian types through handwriting analysis. Private printing. Nezos, R. (1986). 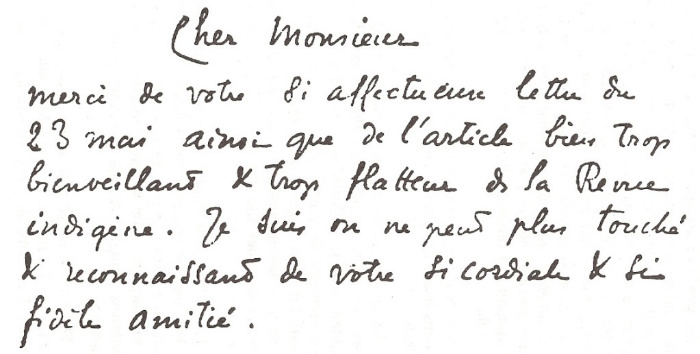 Graphology: The interpretation of handwriting, Volume 1. London, England: Scriptor Books. Nezos, R. (1993). Advanced graphology: Twenty lectures on selected topics, Volume 2. London, England: Scriptor Books. Pert, C.B. (1997). Molecules of emotion: Why you feel the way you feel. New York, NY: Scribner. Roman, K. (1952). Handwriting: A key to personality. New York, NY: Pantheon. Teillard, A. (1993). The soul and handwriting. E. O’Neill, Trans. London, England: Scriptor. (Original work published 1948). Wartenburger, I., Kühn, E., Sassenberg, U., Foth, M., Franz, E., & van der Meer, E. (2010). On the relationship between fluid intelligence, gesture production, and brain structure. Intelligence, 38(1): 193. Retrieved January 14, 2010, from Psychology Module. (Document ID: 1928224711). Wolff, W. (1943). The expression of personality: Experimental depth psychology. New York, NY: Harper Brothers. Wolff, W. (1948). Diagrams of the unconscious: Handwriting and personality in measurement, experiment and analysis. New York, NY: Grune and Stratton. Very interesting article. It was neat to have the clues explained so clearly. What a fascinating article! I only wish I had started to investigate this subject before people abandoned handwriting for e-mail. An experiential activity we use when teaching Beren’s Interaction Styles is to invite the participants to ‘walk each style’. When we first started to teach the method, we didn’t try very hard to encourage people to join in; we tended to demonstrate. Now we insist that they join in and try them out as there is a profound affect when they examine their prefered style of movement and contrast it to three other styles. They literally feel it in their bodies. As a facilitator, I can see the discomfort and inelegance of someone trying to move outside their preference. The handwriting article really resonnates with my experience. I am excited about coming across this article! I am a certified MBTI practitioner and handwriting analyst and have tried to make the connection between Type and handwriting for a while. During my hypnosis training at HMI, I was trained to use a client’s handwriting sample to aid in creating a client profile, as well as to measure improvements, and if needed to refer the client out for psychological issues. This article makes so much sense – it also provided some additional insights. I also want to thank Paula for the wonderful idea to use handwriting as a group exercise. I can’t wait to incorporate it into one of my up-coming workshops. I will be attending the APTi conference and hope to discuss your correlation research with you. I have been data gathering for 15 years to test if there is correlation between hand features and type preferences. Literature in Hand reading claims that we can read the person’s psychology in their hand features. Like you I have set out to find a scientific method to use to explore some claims. I understand how difficult it is to prove any indicators of correlation between type concepts and physical features. I wonder if indicators of type from hand writing is easier or more difficult! I woud like to know how you have blind tested the 64 indicators you use. I am curious to know if the dominant hand used affects the analysis in any way. I am left-handed and hate to use cursive writing because I always got graded down for messiness when I first learned the technique. Moving from left to right is going against the grain for a left-hander, especially if you hold the pen in a non-standard way. And what was worse, I was forced to use a fountain pen, blotting everything as my hand moved across the letters already formed to create new letters. Using a pencil would have been no help however because it smeared. As a result, I gave up cursive as soon as I could for printing, which I can do quite rapidly. Can you use the same analysis techniques for printing? Also, what about the typically leftie pattern of slanting backwards when trying to write? [INFJ] Your Handwriting Reveals it All! the right place. I’ll go over the tricks and techniques on how to use it. Plus, I’ll add a few interesting anecdotes as I find them. Have fun, and keep an open mind! I’m an INTJ and my writing isn’t small, actually its bigger than a lot of my friends who I assume are extraverted people. Well, one of it match actually, i got ‘upper zone dynamics’ but the large breaks between words shows I’m an INTP. Then, this one confused me, because my writing is most similar to the ESTJ’s. Isn’t it means that writing reveal a person’s personalities (either dominant or not) at the same time? Which means both or more personalities are working at the same time? So, how would we know a person’s dominant type in case their writing shows several personalities? please answer D: my curiosity is awake and it need to get feed. and thanks for your post ^^ the best i found about graphology ’til now. 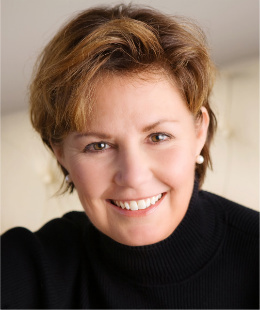 Lisa Schuetz has trained in Gestalt approaches to graphology, and is pursuing graduate work in Jungian psychology at Saybrook University. Her essay, “Reading the Energy of Thought,” was published inAudacious Aging (Elite Books, 2010) alongside those of Joan Borysenko, Deepak Chopra, Nikki Giovanni, Andrew Weil, and Howard Zinn, among others. 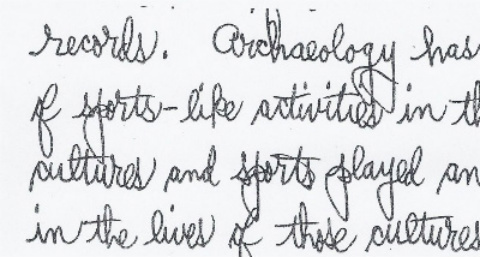 Her research thesis, Sacred Proportion in Handwriting as an Indicator of Body/Mind Balance, was the topic of a presentation given at the Annual Canadian Energy Psychology conference in November 2010.